This discussion will examine the role and responsibility of institutions and artists practices in regard to their communities. Moderated by Mark Ormond, chief curator at Ringling College of Art and Design. Guest Panelists are Carolyn Mason, a former Sarasota County and City commissioner and mayor; Maureik Robison, founder of the Youth Artists Network; Christopher Jones, curator of Photography and New Media at The Ringling; Douglas Chismar, the liberal arts program director at Ringling College of Art and Design; and Bridget Elmer, coordinator of the Letterpress and Book Art Center at Ringling College of Art and Design. 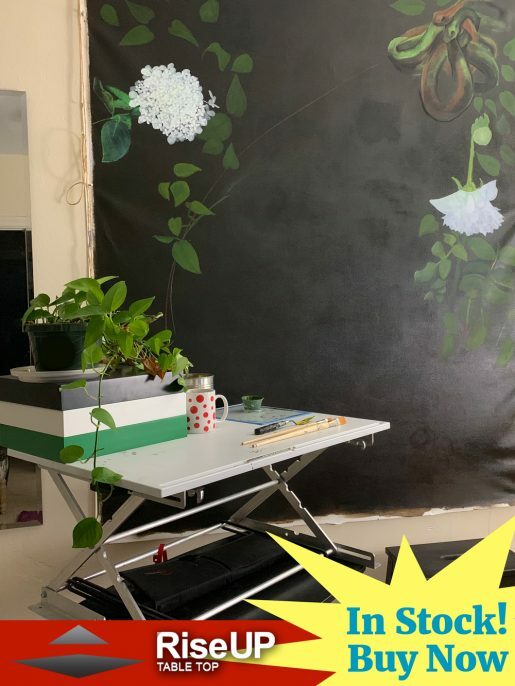 “As Many Hours As It Takes,” exhibited at Ringling College of Art and Design, offered participants a survey to assess their working conditions as artists. The survey is a participatory piece created by Impractical Labor in Service of the Speculative Arts (ILSSA), an evolving publishing project committed to process and reflection. One of the panelists, Bridget Elmer, is an organizer and member of ILSSA. Photography by Nancy Nassiff; courtesy of Bridget Elmer. The discourse of the conversation will examine the role and responsibility of institutions and artists practices in regard to their communities. The importance of their respective practices raise questions about art in society during times of disordered politics, both nationally and internationally. Art Up-Close, a lecture and panel discussion series presented by Art Center Sarasota, featuring regional creative professionals giving insight into what informs their interdisciplinary artistic practice by positioning their work within the arts. The goal is to educate and inspire the local community with the exchange of ideas and conversations about the various disciplines and processes that interact with contemporary art.